Experience: Before joining Yellow Submarine in 2013, Anna managed residential care homes for adults with complex learning disablities. She studied Youth and Community Work at the Ruskin College in Oxford. 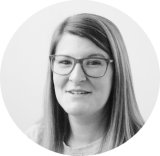 Roles within the charity: Anna oversees Yellow Submarine’s Social Development projects, ensuring positive outcomes for all stakeholders. She makes sure that the staff team are well looked after and thinks about how Yellow Submarine might help more people in the future. She also drinks a lot of tea. Favourite Yellow Submarine memory: My first summer wth Yellow Submarine; 6 solid weeks of activities in the sunshine, with an amazing cohort of children…laughing and cheering so loudly I lost my voice. Capsizing a canoe was particularly memorable! Hotel or Tent: Tent every time, I love nothing more than spending a night under the starts and cooking dinner over the campfire.